Welcome to the Fair Oaks Ranch Homes for Sale page focused on Fair Oaks Ranch CA real estate for sale in the Canyon Country area of Santa Clarita CA. All listings on the Fair Oaks Ranch MLS are shown here. Interested in other areas of the Santa Clarita Valley? Please click the following link for Santa Clarita homes for sale. To find Fair Oaks Ranch homes for sale please click the “Results” tab and have all Fair Oaks Ranch CA homes listed in the left hand column. After you have refined your search – the map will update also. Wish to see details of any of the Fair Oaks Ranch CA listings? Please click on either the address, or on the map icon. For a full screen view, click on the icon in the top right hand side. Save your favorites, and enable the emailing feature to keep track of new listings coming on the market within your search parameters. Please call Pia Soper at Realty Executives Canyon Country 661 645 5556 if you wish to view any of the homes or have questions about Fair Oaks Ranch real estate. She would love the opportunity to assist you in your next sale or purchase. 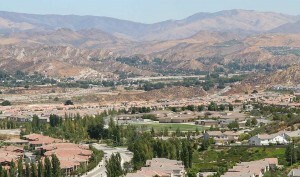 Wish to search other areas of Santa Clarita? Choose “Search” > “By Area”. Fair Oaks Ranch CA homes are located south of the 14 Freeway from other homes in Canyon Country just outside the the incorporated city of Santa Clarita. Fair Oaks Ranch homes for sale include condos, town homes and executives style homes. Many of the newer homes are being built with energy efficient systems and solar panels. Green homes for sale! Situated largely on hillsides, most homes have spectacular views! Fair Oaks Ranch Community Elementary School, La Mesa Junior High School and Golden Valley High Schools serve the neighborhoods and tracts.